Whether you are having a new home or business built, doing major renovations to an existing building or simply have an old home or business that is in constant need of maintenance and repair then chances are that sooner or later you are going to need to have some door installation done in your home or business. Most of us don’t give much thought to the doors in our homes or businesses until something goes wrong with them. However, doors serve a variety of very important purposes in our life. Here are just a few of the purposes a door serves. Keeps Unwanted Intruders Out- Doors are in essence a type of barrier and one of this barriers most important functions is to keep unwanted intruders out of your home or business. With crime on the rise a door is the first and most basic form of security for you, your business, and your family. Helps You Moderate Temperature- Does also help to moderate the temperature of your home or business. Doors like windows help to keep the cold and hot air out of your home and help to allow you to maintain the temperature of your home while saving you money on heating and cooling bills. Privacy- Both exterior and interior doors can provide you, your family or your employees privacy when doing certain activities or preventing the public from viewing what goes on in your private domain. Aid Cleaning- Doors on closets, utility rooms, and linen cabinets can help prevent clean clothes from becoming dust and prevent them them absorbing odors that may be in your home or business helping you to keep clean clothes and linens fresh between uses. Most people Understand that proper door installation can provide all the benefits listed above while an improperly installed door may fail to provide all of the benefits that a door is meant to provide. 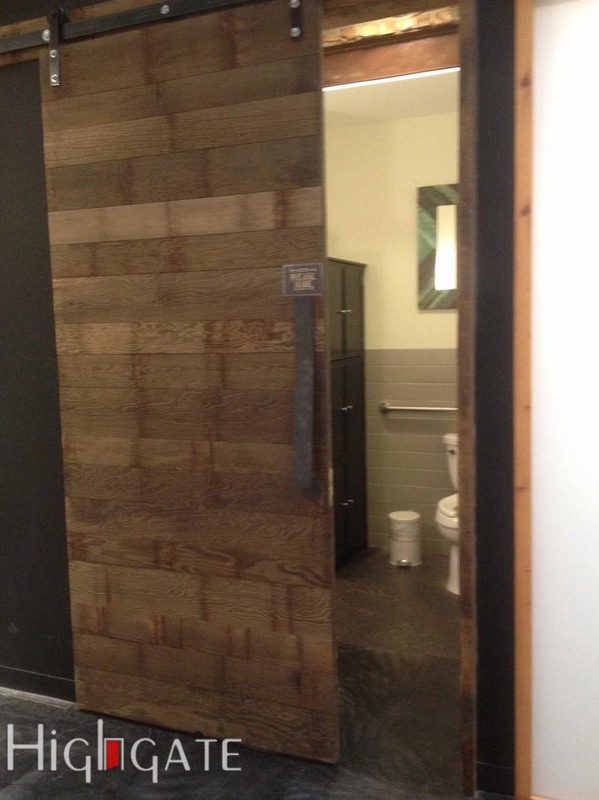 In addition, improperly installed doors can make your home or business function less efficiently and actually lower the value of your home or business. When doors are improperly installed they tend to provide less protection, heating and cooling bills rise, and dirt and pollutants enter each room or your home or business at a much faster rate. Improperly installed doors can allow for in door air quality to become poor and may result in illness as well as frustration. In some cases an improperly installed door may pose a safety risk as it may come loose from hinges and fall or get struck keeping people from exiting a room or a building in case of an emergency such as a fire. So it is important that all doors in your home or business be properly installed and maintained for the benefit of you, your family and the general public. When it comes to door installation many people are uncertain whether or not they should hire a general contractor to install that door or a dedicated door installation contractor. While there are many general contractors that are skilled at installing certain types of doors, most general contractors simply don’t have the knowledge or skill to install every brand and type of door that is available on the market. This is completely understandable as general contractors have a lot of knowledge about building in general, you really can’t expect them to know everything there is to do about all building issues. Think of it this way, if you needed a heart transplant would you want your General Practitioner to perform the surgery or someone who specializes in heart transplants? The same holds true when choosing between a general contractor and a door installation and repair contractor whenever you need a new door installed in your home or business. You want to choose the best person for the job. There may be other benefits to hiring a door installation contractor instead of general contractor to install the doors in your home or business. In many cases Companies who install doors also sell them and you can often get a deal when you buy a door and have it install by the same company. In other cases, even if the door installation company doesn’t sell doors they may be able to get the door you desire at a discount and be able to pass those savings onto you. Many door installation companies can install any type of door whether interior or exterior, which means that you rest assured that any door you choose will be installed correctly. Most door installation companies also can repair doors whether they install them or someone else has installed them. Door repairs may include repairing door jams and frames and even locks. Choosing a door you like that goes with your homes decor and fits the rough opening where the door goes. Preparing the opening for the door by straightening things our and making sure that all areas are level. Once the door is fitted and attached then the casing around the door needs to be installed around the door. These steps are just general steps that professionals follow when installing a door, however there is a lot more to properly installing a door than simply following these steps and different doors will require a slightly different installation process. For example, when installing a sliding door the area that allows the door to slide must also be properly installed in order to allow the door to slide smoothly. Overhead commercial doors also need additional installation steps in order to properly install these doors. Like everything else in your life, when having a door installed in your home and business it is essential to choose the right door installation company to get the job done right. While any contractor may technically be able to install a door, that doesn’t mean that every contractor will be able to install every type of door equally well. When choosing a door installation company there are a few things you need to consider. The Brands and Types of Doors the Company Has Experience Installing. Look for a company that has experience installing a wide variety and types of doors both commercial and residential. There are a few companies out there that have at least some experience installing every type of door made and choosing one of these companies will allow you to be confident that they can properly install any door that you choose. Do Your Research. Take the time to research the Door Installation Company before you decide to hire them. Any company you choose should be fully licensed and insured, offer a guarantee for their wok and be able to provide you with an estimate for their services. In addition, check with the BBB and see how any disputes have been resolved. While any company may have a complaint against them, you don’t want to hire a company with a plethora of complaints or don’t make an effort to make things right with their customers. Go Local When Possible. Whenever possible it is always best to choose a local door installation company. When a company is local it has an interest in the community and will work harder to ensure customer satisfaction because they know that the majority of their business will come from their locale. If you live in NYC you couldn’t make any better choice for a door installation company than Highgate Door Repair and Installation. 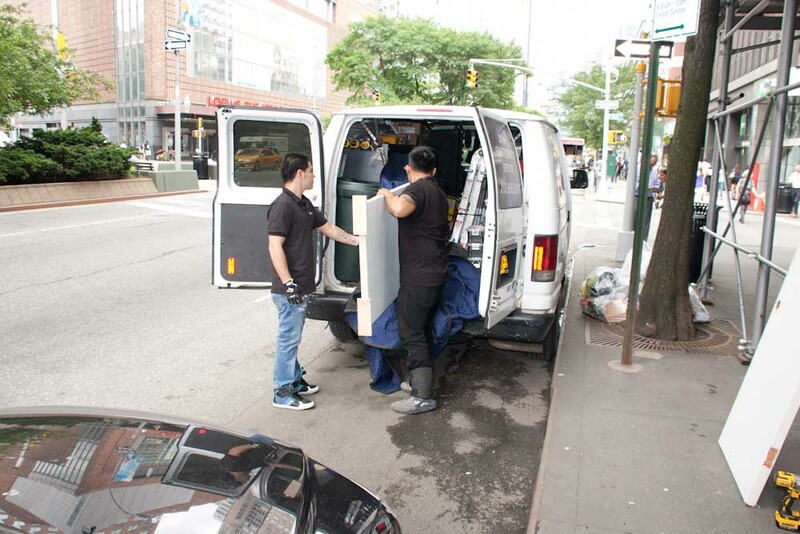 We are a fully licensed and insured company that is proud to service NYC and work hard to provide each and everyone of our customers with quick, efficient and professional door installation services whether you are a residential or commercial customer. In addition to providing door installation by appointment we also provide 24/7 door installation and repair services for those unexpected emergencies so that your building or home is never left without a functioning door to serve as barrier to protect you, your family, your business or your assets. We will also come to your location and discuss with you your exact door installation needs and give you a free estimate. After you see the estimate and we receive your signed order for installation do we begin the installation process. To learn more about our door installation services please take a few minutes to browse through to website. 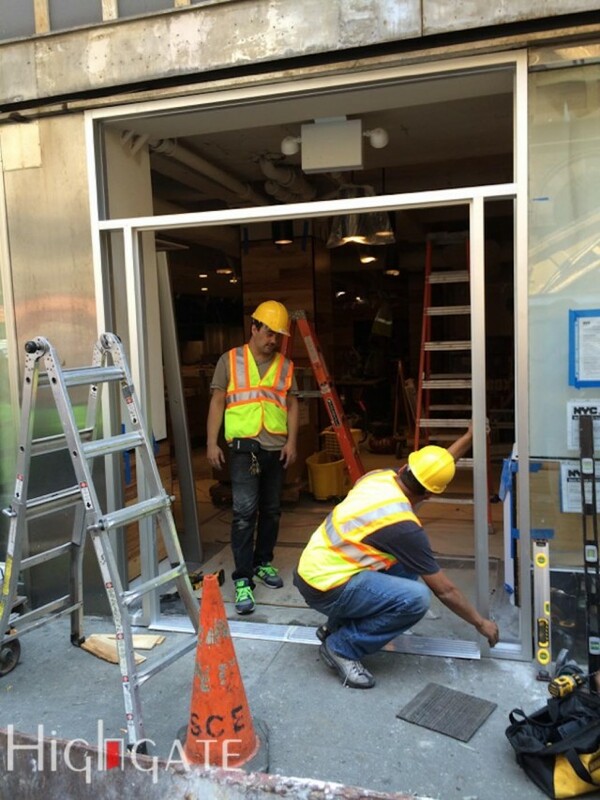 To schedule a door installation estimate or appointment or an emergency door installation service simply give us a call at (212) 860-5477 and our professional door installation contractors here at Highgate Door Repair and Installation will be happy to be of service to you.